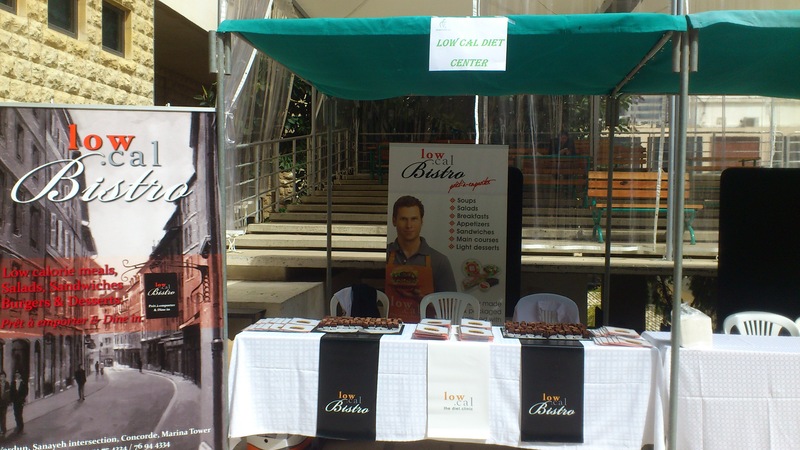 LAU's event was held on LAU Beirut campus on Tuesday the 26th of March. The event was based on promoting health and fitness for LAU students, staff and professors. Stands for several sponsors were present including us low cal the diet clinic and low cal bistro where we gave out brochures, tombola vouchers for inbody test (this test draws your profile as of fat, muscle mass, water, mineral, proteins, waist hip ratio, metabolism...), book, and invitation at the bistro.